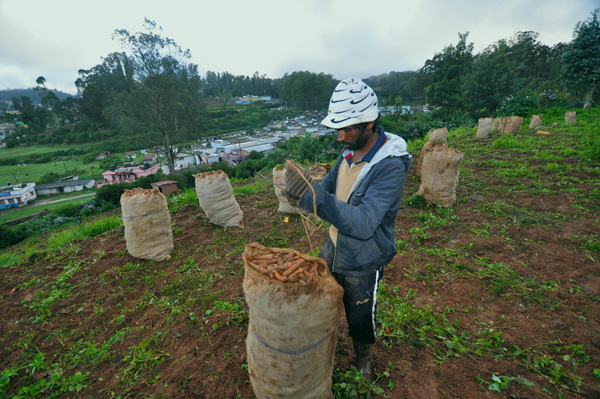 Fresh produce in India goes through at least 7 intermediaries before reaching the shelves. The poor handling of the produce leads to 30% wastage and a reduction of 5-7% margin at each level. 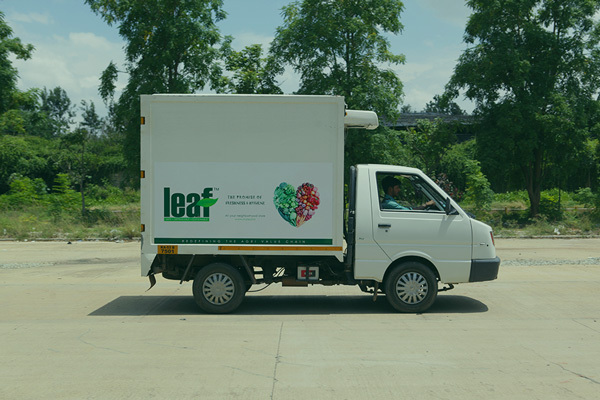 Leaf™, with technology at the helm of its integrated cold-chain logistics model, promises to deliver quality produce, while drastically reducing wastage. We work in tandem with nature. Our collection strategy involves the knowing of the process of ripening and optimum harvesting time. The fresh harvest is then pre-cooled before it is sent for processing. The produce is then cleaned, graded, dried, stored and treated in batches at our automated processing plants. After which, the produce is moved to the pack-house. The packaged ‘Leaf™’ branded products are stored in Cold rooms until they are dispatched to our regional Distribution Centers (DCs) through our own Refrigerated Transfer Trucks (RTTs). Leaf™ maintains a private fleet of Refrigerated Transfer Trucks and skilled drivers. Our trucks are equipped with GPS based navigation and real-time remote tracking of location, cold room temperature and speed. Nothing goes unchecked in our trucks. Our trained drivers follow the most efficient routes to minimize “empty miles”. We drive fewer miles and use less fuel, maximize the delivery quantity and minimize environmental impact. Leaf™ tries to be a green business in every way. With state-of-the-art cold rooms, our regional Distribution Centres serve as the hubs of activity in our last-mile operation. They handle sales and repacking, distribution, local logistics and collections. Large Format Retail (LFR): Produce is delivered directly to the Distribution Centre of the respective large retail chains in temperature-controlled vehicles. General Trade (local F&V stores): Milkrun on fixed routes in temperature controlled vehicles. on demand to our retail store network in their region.